Join the local French Club for a celebratory happy hour and discussion of all things French: books, language, food, politics, and travel. The word "miracle" is thrown around a lot. But it seems like the right word to use about the crash of Rocky Mountain Airways flight 217. In December, 1978, a passenger plane with 22 people on board left Steamboat Springs for Denver. It went down in a blinding blizzard on Buffalo Pass roughly an hour after take-off. 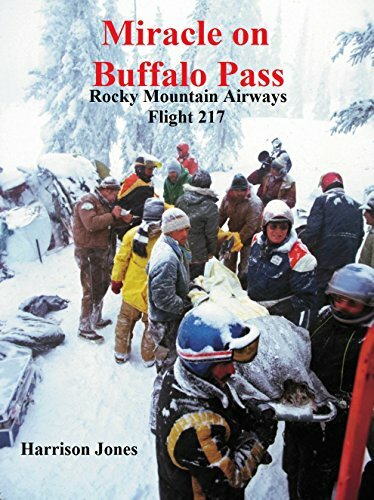 The crash, and the monumental rescue that followed, are the subject of the book,Miracle on Buffalo Pass: Rocky Mountain Airways Flight 217. Join us at Off the Beaten Path for a talk and book signing with rescuer Jerry Alsum and others involved with the crash. Alsum, rescuers and survivors also will be signing books during an upcoming reunion Sept. 21 at The Steamboat Grand. Off the Beaten Path will be bookselling at this years' reunion of survivors and rescuers of the 1978 crash. The word "miracle" is thrown around a lot. But it seems like the right word to use about the crash of Rocky Mountain Airways flight 217. In December, 1978, a passenger plane with 22 people on board left Steamboat Springs for Denver. It went down in a blinding blizzard on Buffalo Pass roughly an hour after take-off. The crash, and the monumental rescue that followed, are the subject of the book, Miracle on Buffalo Pass: Rocky Mountain Airways Flight 217. Survivors and Rescuers will be signing books during this wonderful reunion, which is open to the public. An evening with the author of Bearskin, “one of the year’s most buzzy, fascinating thrillers" (Entertainment Weekly), who writes in the riveting, rugged vein of Smith Henderson, Daniel Woodrell and Annie Proulx — a debut novel fortified with impressive research, breathtaking psychological acuity and addictive plotting. Rice Moore is a field researcher by trade and a former smuggler by association. His new job as a caretaker and researcher for the Turk Mountain Forest Preserve in rural Virginia seems ideal, not only for its remote, largely untouched wooded terrain but because it is a perfect hideout from the Mexican drug cartels he betrayed back in Arizona. When Rice finds the carcass of a bear killed by poachers on the reserve, his newly quiet life unravels. As the bear killings continue, Rice partners with his predecessor, a scientist named Sara who remains passionate about her work on the preserve while struggling to overcome the horrific incident that ended her time there. In trying to stop the poaching, Rice finds himself in the hostile crosshairs of the locals, the law, and even his employers. The investigation pushes him into a nationwide criminal network, pulling him back into the deadly past he had hoped never to encounter again. McLaughlin’s lifelong fascination with what he calls “the unfathomable will of the forest” is enchantingly explored through Rice, whose perceptions become mysteriously affected as he stalks poachers through the preserve. As his investigation deepens, Rice seems to embrace the blurring of the line between man and nature. James McLaughlin’s path to publishing his debut novel at age 54 has been one of fits and starts. While writing has always remained his goal, he’s also co-founded a business and works as a lawyer (both in the realm of land conservation). 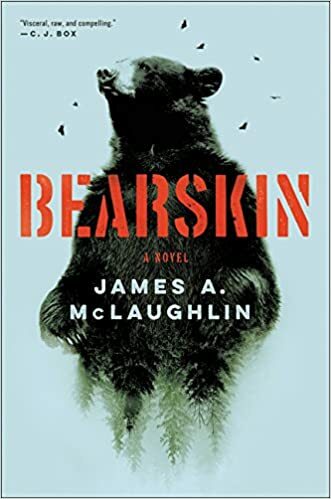 Inspired by a family member’s roadside encounter with a one-armed mushroom picker who bemoaned the bear poachers he encountered in the forests of rural Virginia, Bearskin has been in stages of development since the mid-1990s. As a novella, it won the 2009 William Peden Prize for best fiction published by The Missouri Review. McLaughlin holds law and MFA degrees from the University of Virginia. His fiction and essays have appeared in The Missouri Review, The Portland Review, The Clackamas Literary Review and elsewhere. He grew up in rural Virginia and lives in the Wasatch Range east of Salt Lake City. Join us at Off the Beaten Path for a special storytime event with children's author Claudine Norden and illustrator Bonnie Wiegand! Claudine and Bonnie will be here reading and signing their new book, Quigley the Quiet Hedgehog. Quigley is a self-confident, assertive hedgehog who enjoys reading, creating, adventure, friends, and solitude. In a world where the extrovert ideal is celebrated, Quigley stands up for the introvert and demonstrates finding freedom in serenity. Aimed at preschool and elementary aged children, this colorful storybook with hand-painted illustrations encourages the quiet temperment at home, at school, and in social situations. Bring by your little ones and enjoy this event with the whole family! Off the Beaten Path is proud to be hosting a cupping with our coffee roaster, Seedhouse Coffee. Seedhouse Coffee is based in Steamboat Springs, Colorado. They source high quality small-lot coffees from around the world and pay well above fair-trade prices. Their roasting philosophy centers on highlighting each coffee's unique qualities, rather than obscuring them with heavy roasting. Stop by and test out their different varieties of coffees, which we also serve every day at OTBP. Off the Beaten Path recycles gently used books! From Friday through Monday, used books will be 50% off the sticker price. With over 1,800 recycled books to choose from, you're certain to discover your next favorite book on our shelves, for only a few dollars! 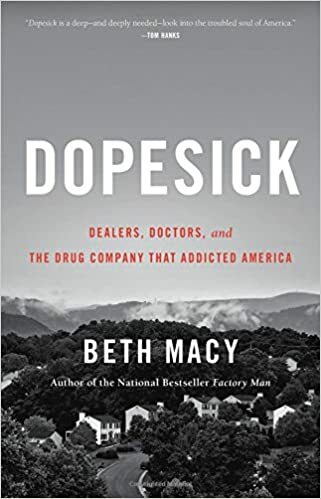 Spend an evening at the library with award-winning journalist and New York Times bestselling author Beth Macy as she shares the stories behind her critically acclaimed new book, Dopesick, a story about dealers, doctors and the drug company that addicted America. Beth Macy has written the only book to fully chart the opioid crisis in America -- an unforgettable portrait of the families and first responders on the front lines. She takes us into the epicenter of America’s 20-plus year struggle with opioid addiction. From distressed small communities in Central Appalachia to wealthy suburbs; from disparate cities to once-idyllic farm towns; it’s a heartbreaking trajectory that illustrates how this national crisis has persisted for so long and become so firmly entrenched. Beginning with a single dealer who lands in a small Virginia town and sets about turning high school football stars into heroin overdose statistics, Macy endeavors to answer a grieving mother’s question-why her only son died-and comes away with a harrowing story of greed and need. From the introduction of OxyContin in 1996, Macy parses how America embraced a medical culture where overtreatment with painkillers became the norm. In some of the same distressed communities featured in her bestselling book Factory Man, the unemployed use painkillers both to numb the pain of joblessness and pay their bills, while privileged teens trade pills in cul-de-sacs, and even high school standouts fall prey to prostitution, jail and death. Through unsparing, yet deeply human portraits of the families and first responders struggling to ameliorate this epidemic, each facet of the crisis comes into focus. In these politically fragmented times, Macy shows, astonishingly, that the only thing that unites Americans across geographic and class lines is opioid drug abuse. But in a country unable to provide basic healthcare for all, Macy still finds reason to hope -- and signs of the spirit and tenacity necessary in those facing addiction to build a better future for themselves and their families. Beth Macy is the author of the widely acclaimed and bestselling books Truevine and Factory Man. Based in Roanoke, Virginia for three decades, she is a reporter who specializes in outsiders and underdogs, and her work has won more than a dozen national journalism awards, including a Nieman Fellowship for Journalism at Harvard. Among the marginalized groups she has chronicled for newspapers and magazines are Hispanic immigrants, African refugees, caregivers for the elderly, veterans with PTSD and displaced factory workers. Macy has been published in Oprah magazine, Parade, The New York Times, Salon and Christian Science Monitor. For two decades, she was the families beat reporter at The Roanoke (Va.) Times, where many of her longer pieces originated. Her approach to storytelling: Report from the ground up, establish trust, be patient, find stories that tap into universal truths. Eat the posole. Get out of your ZIP code. To do good work, be a human first. Off the Beaten Path welcomes the Women Connect book club, an inclusive community group designed to read and discuss books that cover women’s issues or feature strong female protagonists, and to study the works of female authors. The group is limited to 12 people per meeting and convenes on the second Thursday of the month. This band plays songs about books. Off the Beaten Path will be selling copies of the new 20th anniversary editions of Harry Potter at this event. 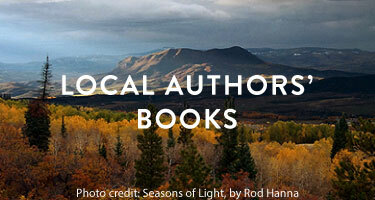 Bud Werner Memorial Library & Off the Beaten Path Bookstore are proud supporters of National Novel Writing Month and the local writers who embark on 30 days and nights of literary abandon. Write your novel! This event runs November 1-30, 2018. Writers are encouraged to gather for this motivational, inspirational NaNoWriMo kickoff prior to the November 1 writing start date. A fun, seat-of-your-pants approach to novel writing. Participants begin writing November 1. The goal is to write a 175-page (50,000-words) novel by midnight, November 30. The kickoff celebration. Come meet your fellow NaNoWriMo novelists at the library -- even if you're still just considering writing your novel this November. We'll have writing resources, pep talks, a forum for gripes and the beginnings of your novel writing support network. Write-in at the Library. Bud Werner Memorial Library is a comfortable, quiet and well-lit place to work on your novel all month long. Write at the spacious desks where there are ample plug-ins. Peer out the picture windows when you need inspiration. Use the free computers and WiFi to research important details for your plot. Get to know our reference librarians when you need a hard-won fact. Let Mountainbrew sustain your needs for refreshment with coffee and baked goods. Write-in at Off the Beaten Path. The bookstore is hosting FIVE Write-ins for NaNoWriMo novelists on November 1, 8, 15, 29 and 30. NaNoWriMo novelists can join for camaraderie, encouragement and quiet writing time (plus the cafe will be open for coffee, beer and snacks) from 6-8 p.m. on these nights. Interested novelists should visit the official NaNoWriMo web site to learn more about the national program and sign up. Then come to Steamboat's NaNoWriMo kickoff party!